← IHG Rewards Club PointsBreak List Released Today! 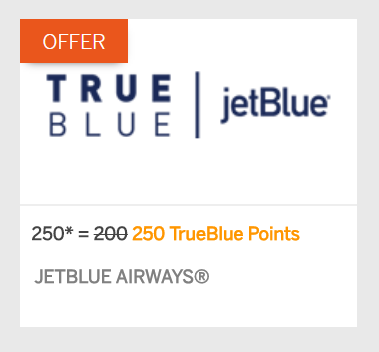 From today till November 30th 2017, you can transfer your hard earned Membership Rewards points to Jet Blue True Blue miles at a 1:1 ratio. These usually transfer at the 4:3 ratio. Jet Blue flies to many destinations in the United States, central America and the Caribbean. They also have transfer partners to book many more international destinations. Their Mint service is highly desired thanks to their low mileage requirements, with many more flights starting to carry Mint service on the newer planes. Let me know in the comments below if you plan on taking advantage of this offer.